Can employees clock in early for their shifts? That’s completely up to you! 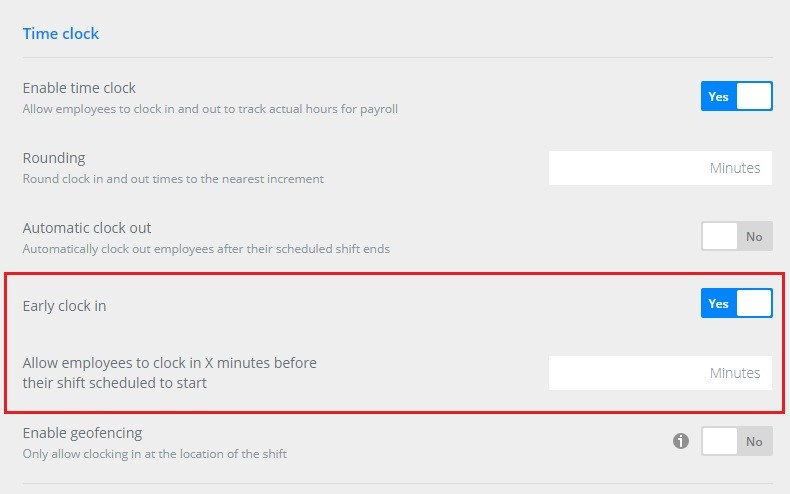 If you only want employees clocking in at the exact time their shift is scheduled to start, disable early clock in from your Company Settings. 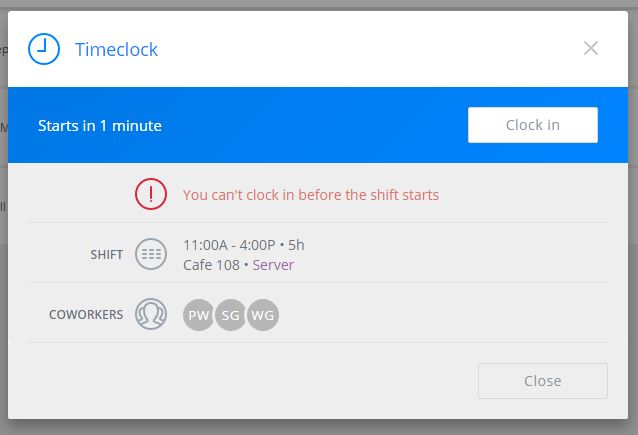 They'll get an error message if they attempt to clock in before their shift time. 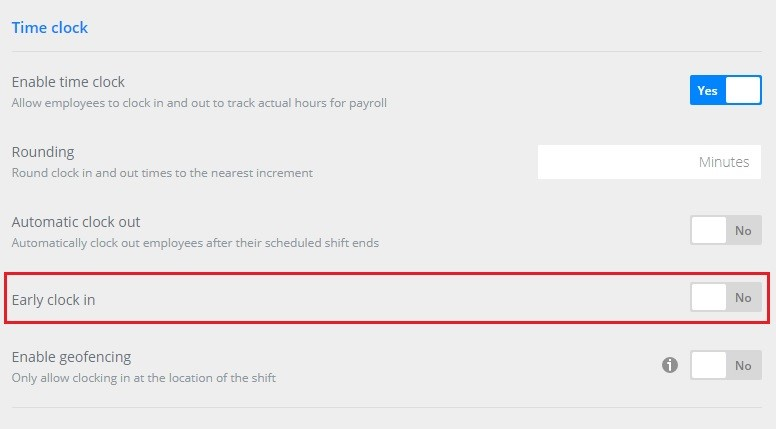 If you’d like employees to be able to clock in for their shifts in advance, specify the grace period in minutes.